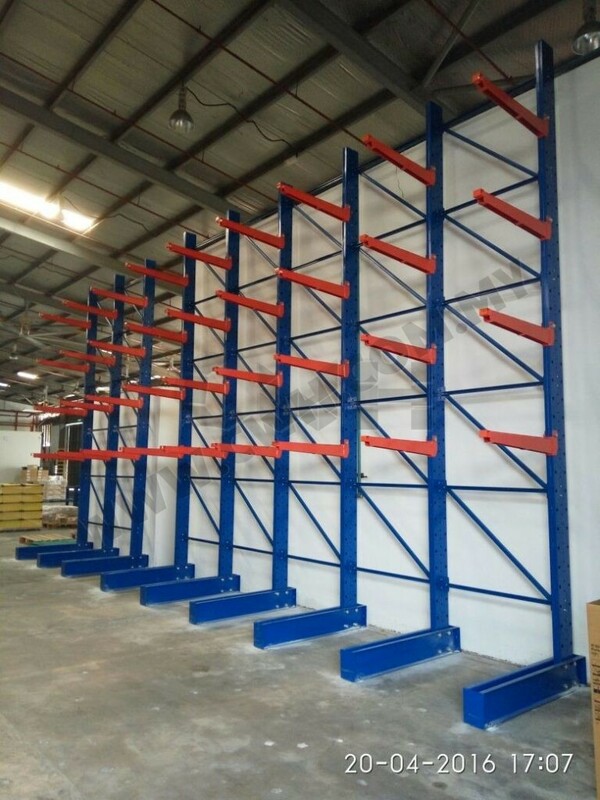 CWH Storage System is one of the trusted cantilever rack manufacturer that offers a cost-effective and storage solution for keeping various types of long & heavy products. CWH Heavy Duty Wall Cantilever Racking System is ideal for the storage of long items such as pipes, timbers, tubes, sheet metal, etc. 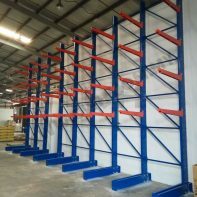 Our cantilever rack system is engineering to provide quick adjustable of vertical height to cater to different size of goods. Comes with single sided configuration for different requirements. Available in two finishing for different requirements: glossy paint(indoor) or hot dipped galvanized(outdoor) upon request. Optional accessories such as Removable Durable Stoppers are provided to ensure safe storage of goods. For double sided cantilever, please visit CWH Heavy Duty Island Cantilever Racking System.